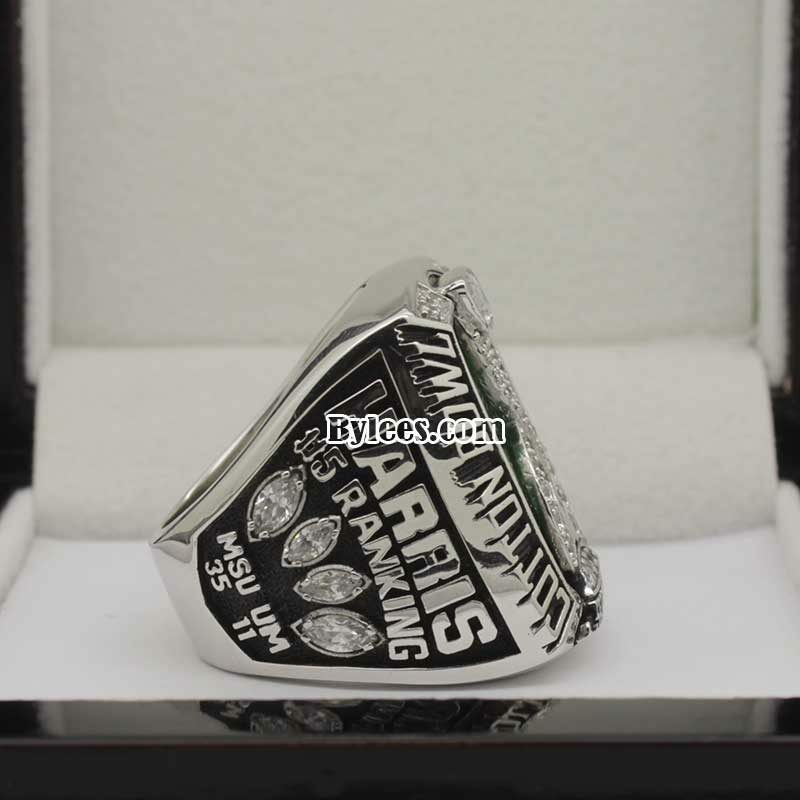 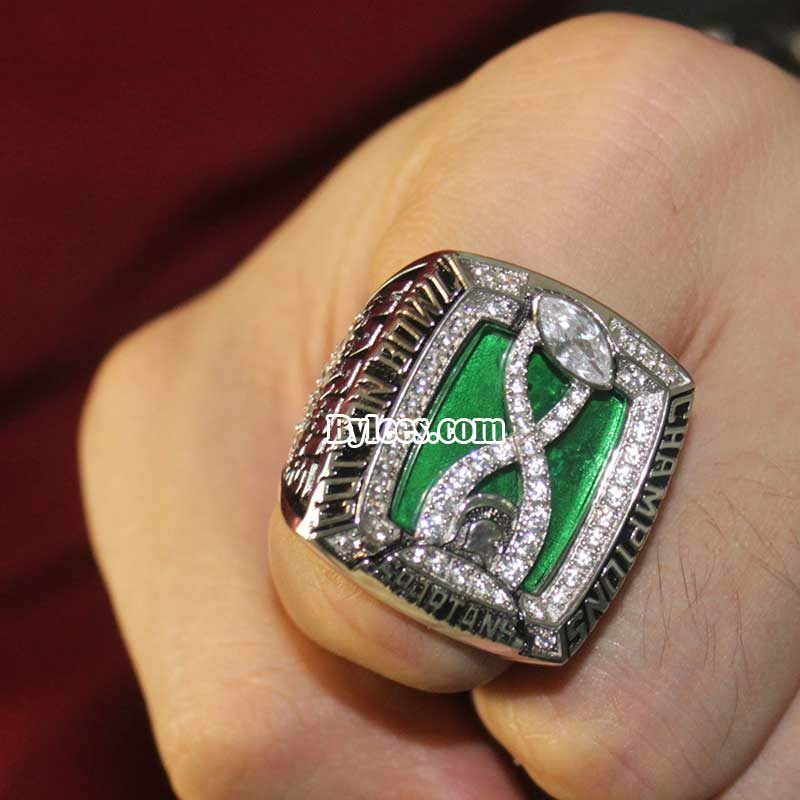 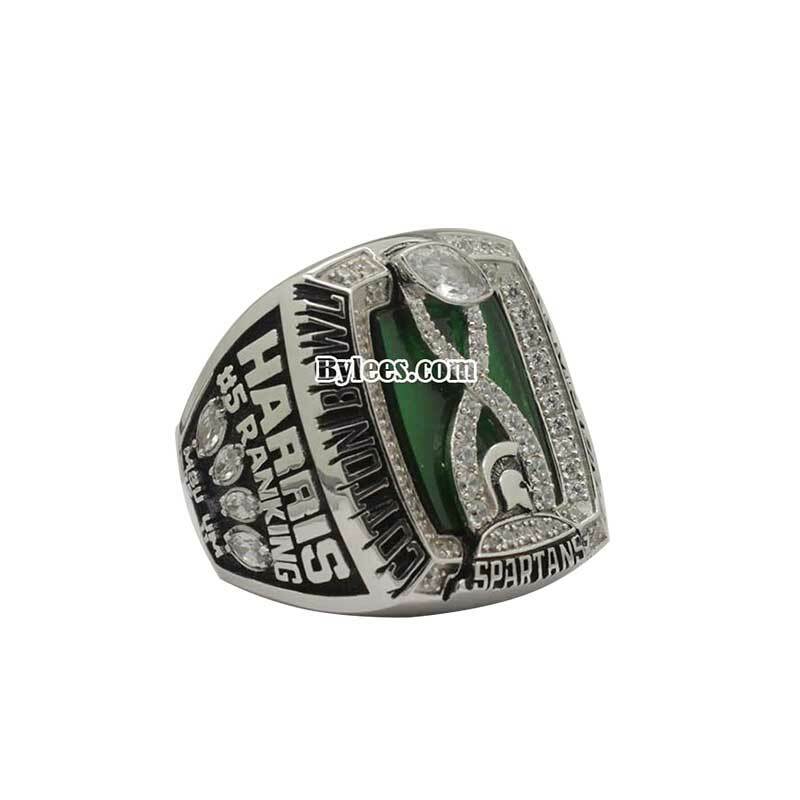 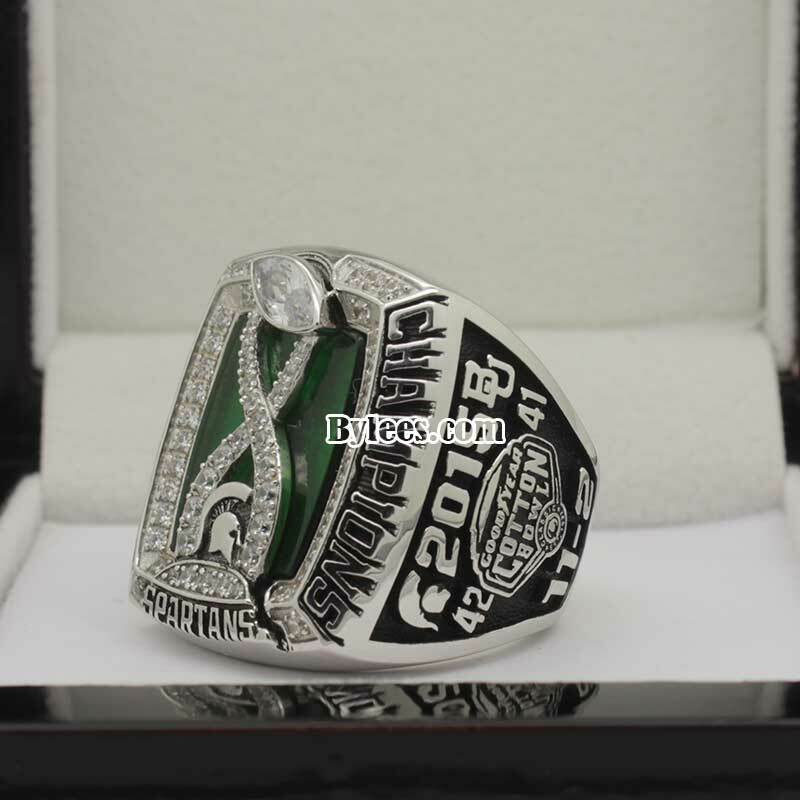 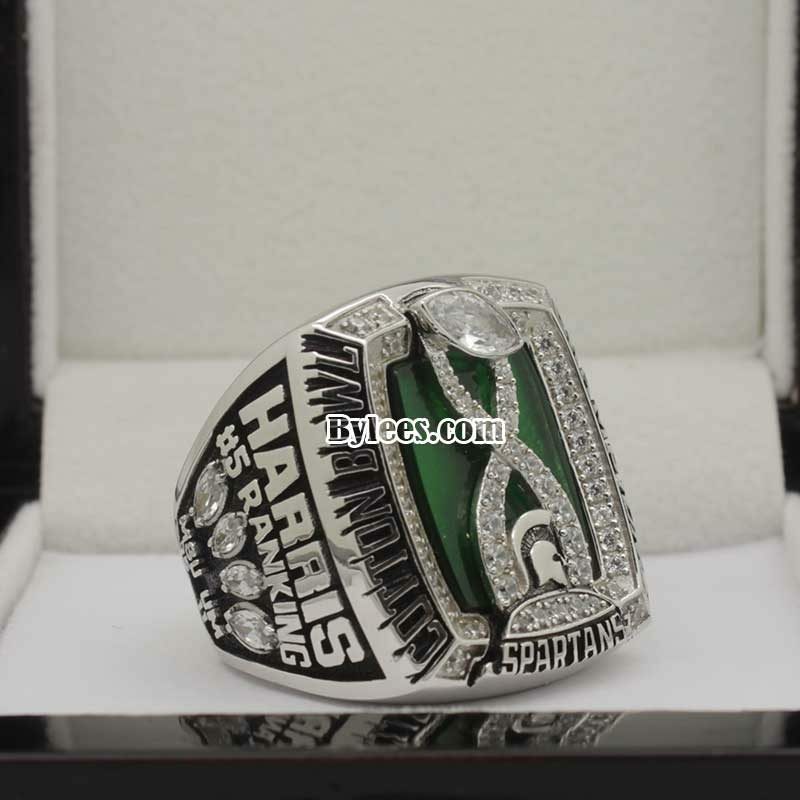 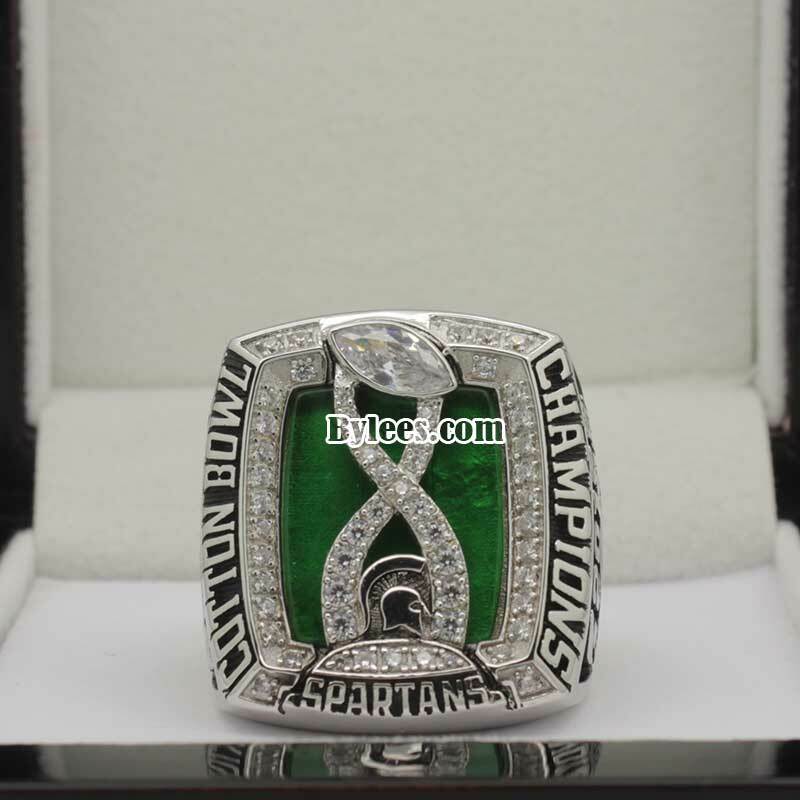 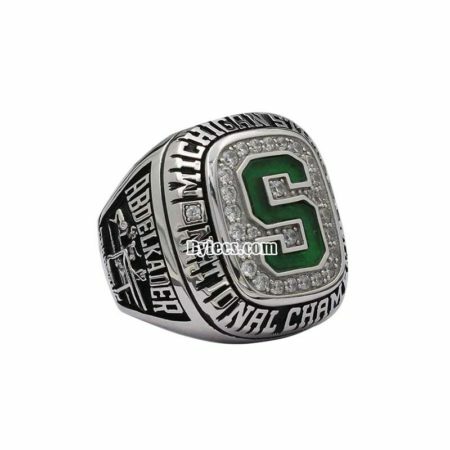 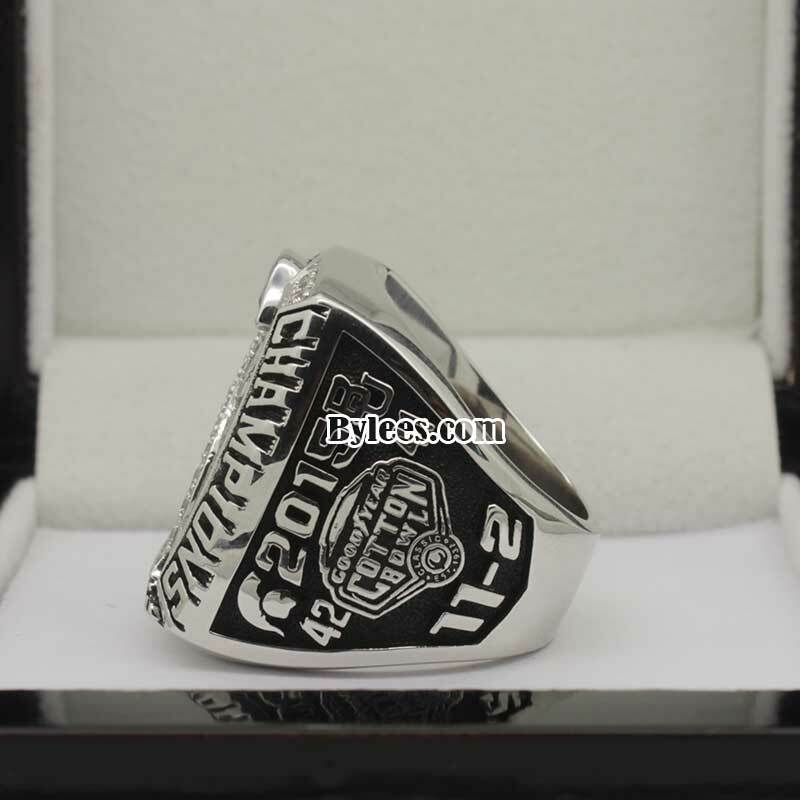 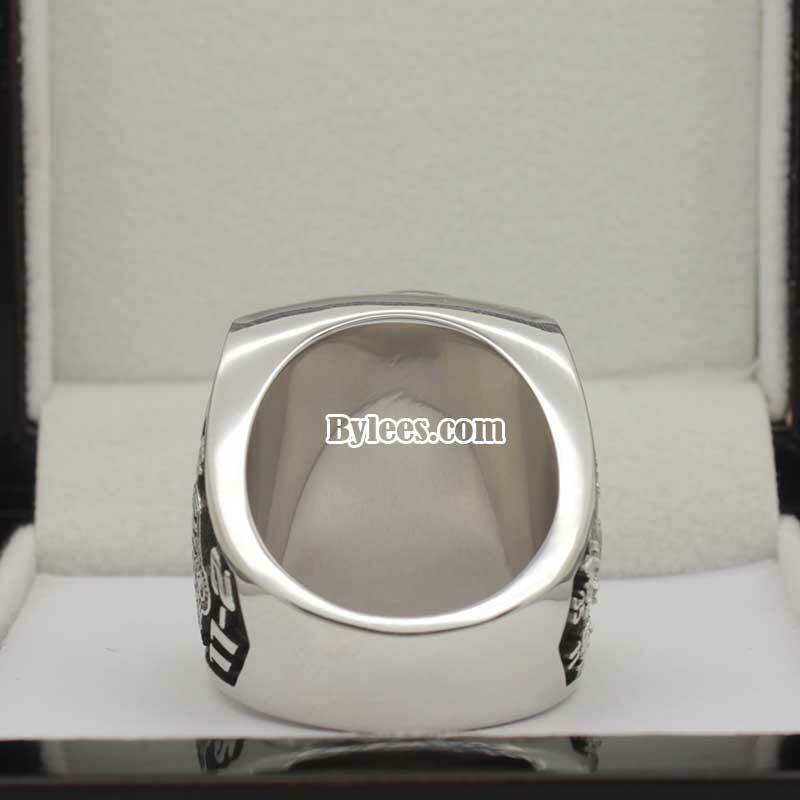 2015 Michigan State Spartans Cotton Bowl Championship Ring commemorated the football champion that MSU won during the 2014 NCAA Division I FBS football season. 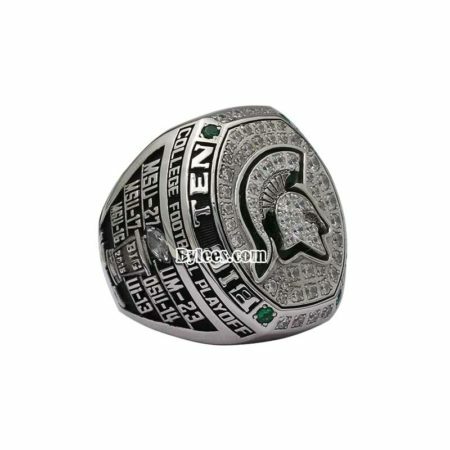 In this season, The Spartans finished the season by 11-2 in second place in the East Division and they were invited to the 2015 Cotton Bowl Classic (January,also well know as Goodyear Cotton Bowl Classic ),which played on January 1, 2015 ,After falling behind by 20 points, Michigan State staged a dramatic comeback in the fourth quarter to win the 2015 Cotton Bowl championship ring by a score of 42–41. 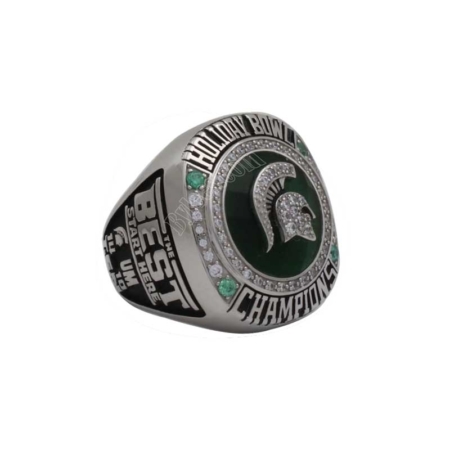 This was the highest scoring Cotton Bowl ever,and they ranked #5 in the 2014 big ten football standings. 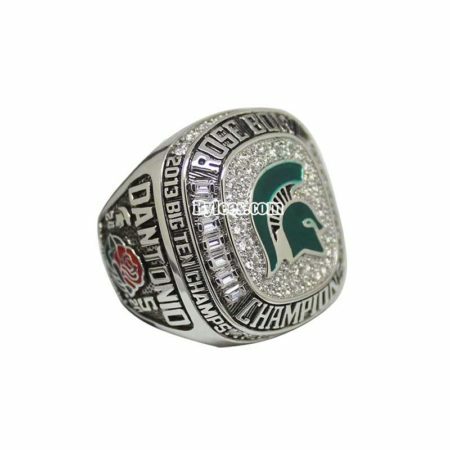 In this season, Darqueze Dennard went to 2014 NFL draft, and Denicos Allen,Isaiah Lewis,Dan France,Bennie Fowler,Max Bullough, Tyler Hoover,Micajah Reynolds,Fou Fonoti signed as undrafted free agent. 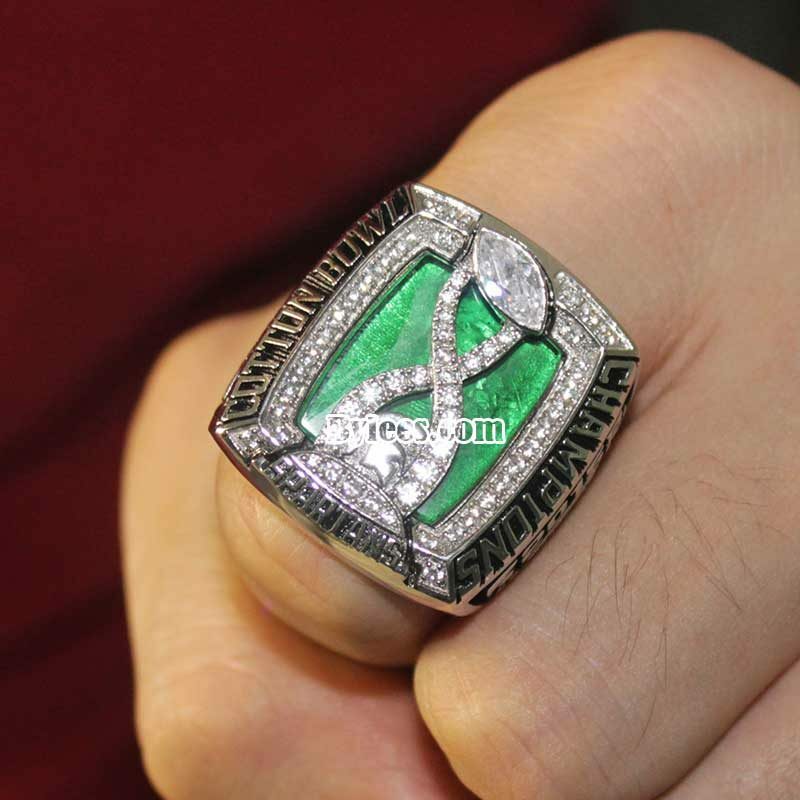 The 2015 Cotton Bowl ring is the only MUS football ring won in this season.